We tested the "nutrient extractor" to find out. You’ve seen the ads, read the 8,000+ Amazon reviews, and probably heard your aunt raving—the NutriBullet is the only blender you’ll ever need! Sorry, the brand prefers the term “nutrient extractor,” suggesting capabilities far exceeding that of your run-of-the-mill blender. “Unlike juicers and blenders, NutriBullet nutrient extractors break down the cell walls of fibrous plant foods, releasing important vitamins and minerals contained within,” reads the product’s Amazon page. Yet the NutriBullet looks like a blender, sounds like a blender, and blends like a blender—so does it really achieve anything other blenders can’t? Probably not, according to our testing and a 2016 investigation by NBC News into nutrition claims made by NutriBullet. Bruce German, a food chemistry professor at the University of California at Davis, told NBC reporters, "The broad claim that breaking down structure in this way invariably makes the nutrition more available can't be assumed. The structure in [the blended mix] can make some nutrients more available, and some less available." Essentially, the science doesn’t suggest that super-blending is any more nutritious than regular blending—or even chewing. The science doesn’t suggest that NutriBullet's "nutrient extraction" is any more nutritious than regular blending. While testing the best personal blenders on the market, we found that the NutriBullet blender was perfectly capable of producing silky-smooth health shakes, but didn’t perform significantly better than the competition. 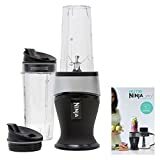 In fact, it ended up ranking third behind the Nutri Ninja Fit and Magic Bullet due to its oversized base and somewhat cumbersome travel cups. So while it might get the job done as a personal blender, it’s not the revolutionary health product it claims to be. Are there still benefits to personal blenders? Just because NutriBullet makes some ambiguous nutrition claims, doesn’t mean that personal blenders aren’t useful. For people looking to get more fruits and vegetables into their daily diet, enjoy an on-the-go breakfast, or quickly get nutrients into their bodies after a workout, these small appliances can be a huge convenience. Nutritionists cited in the NBC News article also note that, while solid foods are usually best from a metabolic standpoint, smoothies are perfect for people who can’t eat solids due to illness or physical disability. Just because NutriBullet makes some ambiguous nutrition claims, doesn’t mean that personal blenders aren't useful. Consumers should be aware, however, that quickly drinking shakes and smoothies can potentially spike blood sugar and lead to more hunger and snacking in the long run. Like anything else diet-related, you should consult with your doctor before replacing meals or starting a new smoothie-heavy routine. 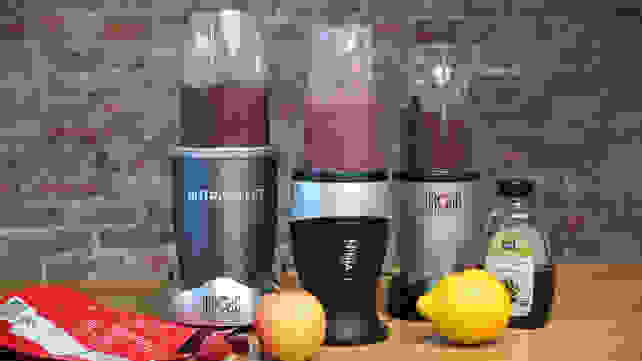 Which type of blender is right for me? In addition to personal blenders, there's also "immersion blenders" (not to be confused with immersion circulators) and regular full-sized blenders to consider. If you're not already a kitchenware connoisseur, you're probably wondering, "Why are there so many types of blenders? Are they actually that different? Do I need to own every single one?!" As you probably guessed by now, the answer to that last question is no, you don't need all three. 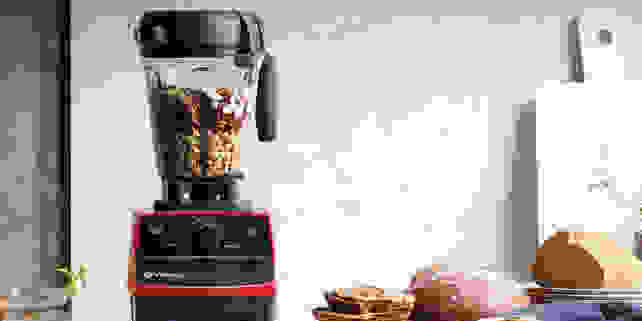 When it comes down to it, they all use the same mechanics to blend, mix, and pulverize food and drinks into whatever form you choose—but choosing which blender is best for your kitchen will make life a lot easier. You don't need all three, but choosing which blender is best for your kitchen will make life a lot easier. Full-sized blenders are great for making icy cocktails, health smoothies, milkshakes, and other drinks for more than one person at a time. High-end models, like our favorites from Breville and Vitamix, can also be used to make soups, dips, nut butters, and other tricky foods. 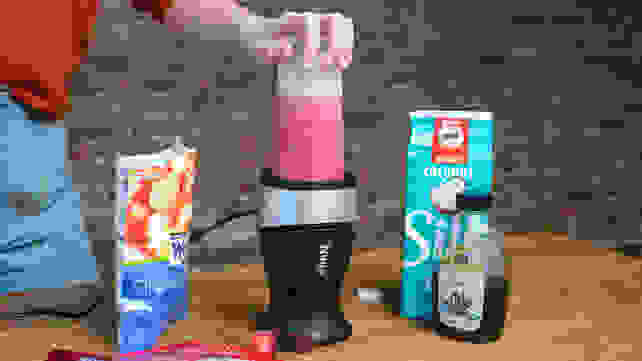 Most people have some kind of this blender sitting around their house, and they're the ideal choice for larger households and people who like to entertain. 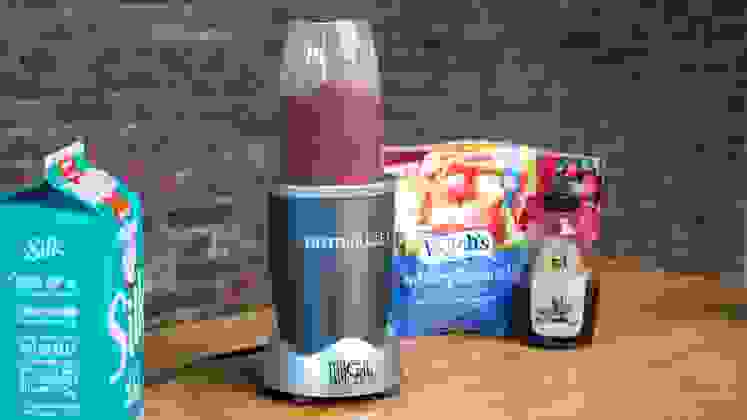 Personal blenders, however, are ideal for individuals or couples who rarely need to blend a lot at once—as we’ve seen, they've exploded in popularity since everyone started juicing and making health smoothies for those post-gym vitamins. They're easier to store, clean, and transport than full-sized blenders, and their containers are ideal for on-the-go sipping. 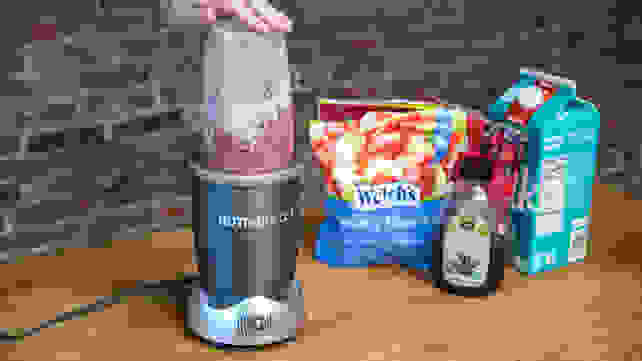 If you're looking for a quick blending solution and don't need to make a lot of anything at once, you can probably forgo a full-sized blender in favor of a personal one. Immersion blenders are the odd-one out, but they're still incredibly useful. Also called hand blenders, their wand construction and lack of blending containers make them portable, simple, and perfect for hot foods. I use mine to make pesto, whip up homemade mayo and whipped cream, and blend butternut squash soup. 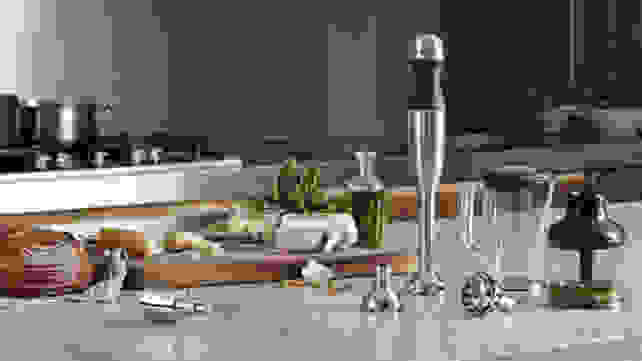 If you're like me and enjoy cooking but aren't trying to feed a family or outfit a full kitchen, pairing an immersion blender and a personal blender can help you cover all your blending bases without taking up too much room.